HomeBasic InfoWhy Does the World’s Sustainable Development Depend On Molybdenum? Molybdenum (Mo) is often added to other materials in a very small amount, but can greatly improve the properties of materials. The phrase “Less is more” illustrates how molybdenum can contribute to sustainable development in a variety of ways, as well as creating value for modern society, the environment, and the economy in the role of metals, alloying elements, and chemical ingredients. Tackling climate change will require a sustained and significant reduction in greenhouse gas emissions, of which about 25 percent are from power plants. Energy demand is forecast to grow by more than a third over the next 25 years, and both low-carbon and zero-carbon power generation must be aggressively developed. Molybdenum has made outstanding contributions to a number of renewable technologies. Hydropower is the most widely used renewable resource, accounting for 16 percent of global electricity demand. High strength steel (HSS) can be used in the production of water diversion pipes with thinner walls and larger internal diameters (the super-large diameter pipes that transport upstream water to turbines) to improve transport efficiency. When molybdenum is added to high-strength steels, the yield strength is higher, while the toughness and hardenability remain unchanged. The Itaipú hydropower station, located on the border between Brazil and Paraguay, has 20 water diversion pipelines, with an inner diameter of 10.5 meters and each weighing 883 tons. The Itaipú hydropower station produces nearly 100 terawatts of electricity annually, reducing carbon dioxide emissions by about 67 million tons per year compared with thermal power. By the end of 2014, the global installed wind power capacity reached 369 gigawatts, accounting for 3 percent of the world’s total power generation. Of all forms of power generation, wind power consumes the most steel, while the current design consumes about 300 metric tons per megawatt installation. In fact, most commercial wind turbines are made of molybdenum-containing engineering steel, taking into account the need for hardness, durability, and lightweight. The cabin of a typical unit weighs 400 tons and is mounted on a bracket 100 meters high. In order to improve the performance, it is necessary to increase the size of parts. Therefore, lightning has been an important issue, and the application of thin molybdenum alloy steel casing and supporting frame can reduce the weight by 20-40%. The earth’s surface receives an average of 1,000 watts of solar energy per square meter, which can be converted into electricity. Since the end of the 20th century, the share of non-fossil energy in the global energy mix has risen steadily and is expected to reach 50 percent by 2050. Solar power is a sustainable resource because it consumes only sunlight. The natural overlap between solar and electricity peaks reduces the total demand for base-load power, which often uses fossil fuels. 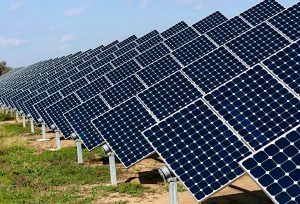 Unlike previous rigid silicon panels, modern thin-film photovoltaic panels have the advantages of manufacturing, cost and design flexibility. Molybdenum plays an important role in these rapidly developing technologies and is one of the metal materials (or even the only metal material) of the back electrode of the film plate. Molybdenum is an important component of the next generation thin film photovoltaic panels. Molybdenum and molybdenum foil is widely used in lighting and electrical vacuum devices, power semiconductor devices, heat shield, molybdenum sputtering target, molybdenum boat and so on. Sulfur dioxide (SO2) emissions from thermal power generation and transportation cause acid rain, which causes long-term damage to the environment. Molybdenum plays a key role in the existing environmental protection technology of SO2 control. 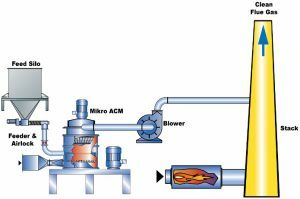 The most commonly used flue gas desulphurization process in thermal power plants is limestone – gypsum wet desulphurization and neutralization of sulfur dioxide and other acidic flue gas with calcium carbonate. Corrosion resistant materials or protective layers are needed since the chemical reactions in scrubbers are highly corrosive. The carbon steel absorber used in the past uses non-metallic lining, but it usually fails soon. The modern desulphurization device is made of two materials, one is molybdenum-containing stainless steel, the other is molybdenum-containing stainless steel and carbon steel composite plate, the key part is added more corrosion-resistant nickel base alloy lining. Corrosion resistant stainless steel and nickel base alloy play a key role in protecting the environment and preventing acid rain. All vehicles are fitted with catalytic converters that can further reduce environmental pollution to meet increasingly stringent emission standards. In order to avoid damaging the catalytic converter of the automobile, the refinery needs to desulphurize the sulfide in the gasoline and diesel of the vehicle. Catalytic hydrodesulfurization is a kind of reaction between sulfur and hydrogen under the action of the molybdenum-based catalyst.